The Federal government of Pakistan has issued a new order SRO 52. 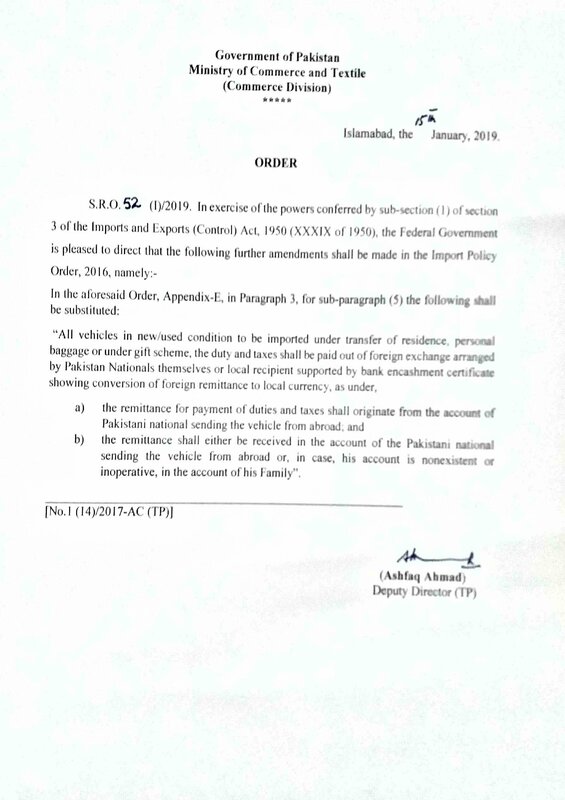 (1)/2019, and directed to make an amendment in the Import Policy of car, 2016.
ii-The remittance would be received in the account of Pakistani national sending the vehicle or in his family’s account (in case of non-existent account). This SRO has created chaos and confusion in the local automotive market. There is no denying in the fact that due to the government’s change in import policy, the import of cars into the country would become difficult and their supply would also be disrupted. According to the auto market sources, this order will make more trouble to used car business in Pakistan and there are chances that the business of imported car will be closed after this SRO. 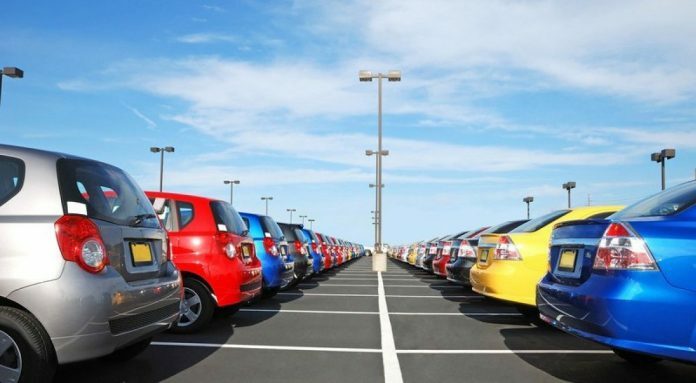 After the issuance of SRO, used car importers urged the respected courts to declare this SRO null and void, as it was against the spirit of auto policy and harming their businesses.